The witching hour has come, and it is time for you to rise from your grave and walk the earth once more! Dress like a zombie with the Open Brain Zombie with Hair Mask and look the part of a rotting, flesh-eating, undead monster! 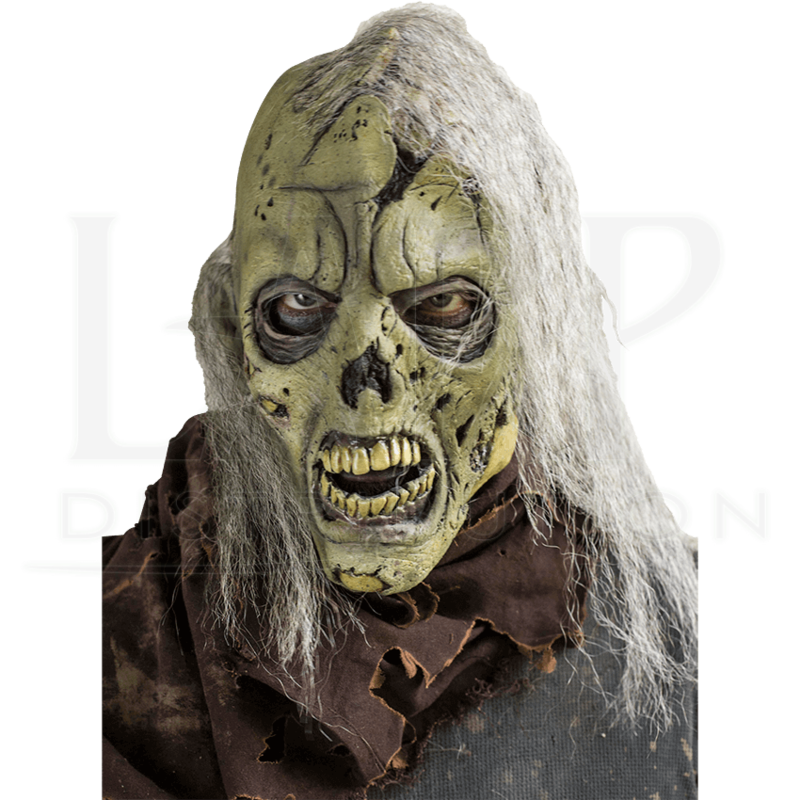 Made from 100 percent high-quality latex, this undead face mask is stuck in an eternal snarl, baring yellowed teeth behind rotting lips. Dark circles encircle the eyes of the mask, while the nose is missing, leaving a dark hole. The face of the mask is pock marked with decay, revealing bits of bone here and there, while the upper left half of the head is missing, revealing the rotting brain of the zombie. Tufts of long, gray hair stick out from above the ears and around the missing portion of the skull. 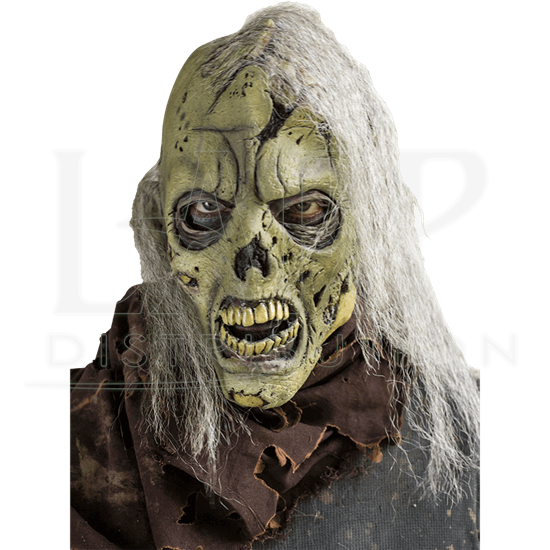 Perfect for Halloween, LARPing, and cosplay, this reanimated corpse mask will be sure to scare the pants off any unexpecting human you come across!